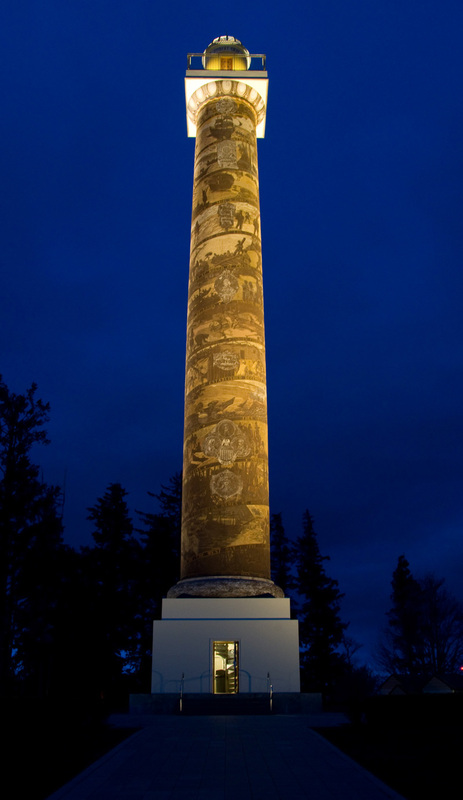 Patterned after the Trajan Column in Rome, the Astoria Column is similarly adorned with a 525 foot long spiral frieze depicting 14 significant events from early Oregon history. Nice pic … the spiral frieze is amazing. Where in Rome is the original ? You shame me. I’m a native Oregonian, yet I haven’t visited the Astoria Column in decades. VERY nice picture. Looks like you may have waiting for just the right light. Great picture. Tom, get out there to see it. Trajan’s column? No way! Get out to Rome to see that. It’s a bit worn, what do you expect from a 2000 year old monument. Rome- Everywhere once. Timeless.